Stony Brook Clinical Informatics Bootcamp is a training program targeted to students, residents, and attending physicians, as well as, nursing students, nurses, and pharmacists. The course is open at no charge to all at Stony Brook Medicine. 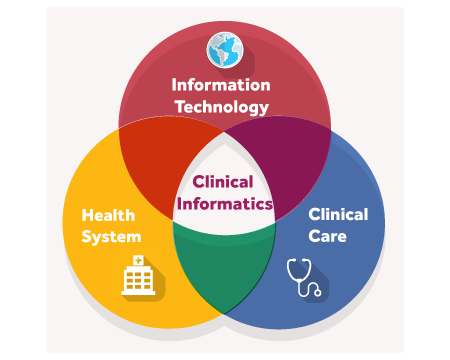 Clinical Informatics (CI) is a growing area of medicine, at the intersection of computers and clinical care, where you can make a difference. Anyone directly involved in patient care can have a significant impact on improving that care through Clinical Informatics. Leveraging the strengths of computing to deliver better healthcare is at the core of the specialty. Understanding more about CI can help you understand quality metrics, drive change and better target healthcare to those in most need. By seeing the big picture through data, you can give each patient the best individual care. While for some Informatics will become a full time job, understanding the basics of the field if part of a central core of knowledge, cutting across all specialties. This bootcamp will introduce you to the field, and let you learn basic steps of how to employ your knowledge to practice. Today Clinical Informatics is an ACGME recognized medical subspecialty, with its own subspecialty board exam. Higher degrees in Informatics are also possible. Here at Stony Brook, both masters level and doctoral level degrees are granted through the department of Biomedical Informatics. Curious to learn more? Please join us at the Clinical Informatics Bootcamp. This program will consist of three, day-long sessions, each of which can be attended as a single stand-alone session. The first bootcamp was held on May 5, 2017. Watch recorded presentations. The second bootcamp was held on October 27, 2017. Watch recorded presentations. The third bootcamp was held on March 23, 2018. Watch recorded presentations.